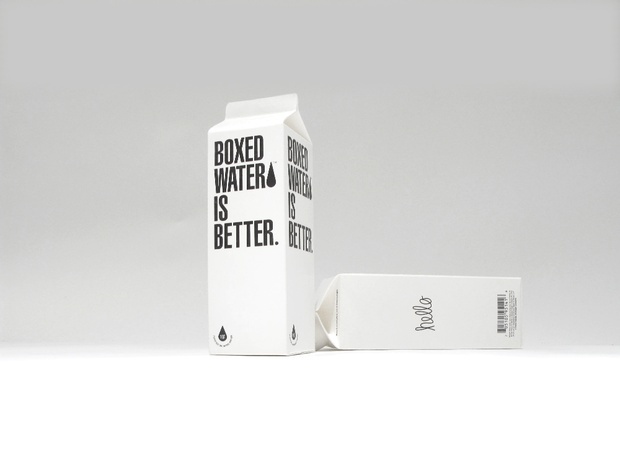 The brand tells you what it is in bold minimalist script: better, but more specifically, its packaging is better than the dominant plastic bottle alternative – a square peg for what product designers have long assumed was a round hole. 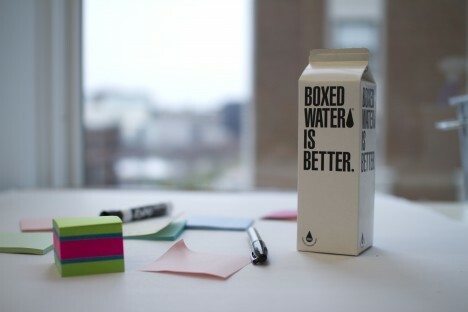 Aside from the (cardboard carton) material itself being more sustainable, the trick is in the shipping: a single truck packed with pallets of flat-pack water boxes means 25 fewer trucks than shipping plastic bottles to a bottling plant. 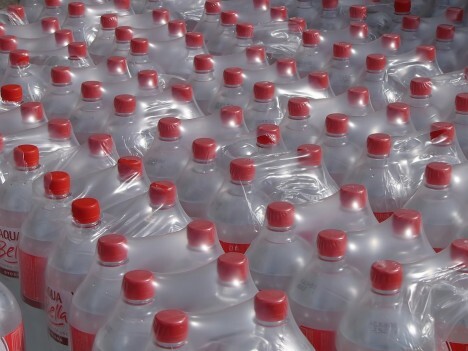 Plastic bottles not only take up more space when filled (thanks to their rounded shape), but far more space when empty in the first place. 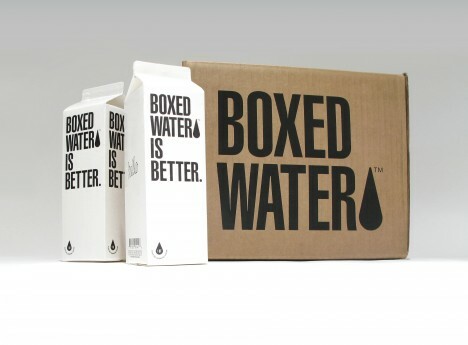 They are also being banned in some cities, which means more market opportunity for companies like Boxed Water Is Better. The recyclable packages also stand out on the shelves – white cartons and black type stacked alongside complex logos and variegated shapes of their plastic relatives. 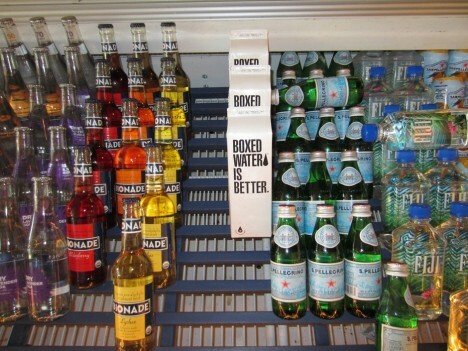 Some will still question the need for conveniently-packaged water altogether, and in a perfect world (perhaps someday) we would all use reusable containers, but for now this seems like a solid (or liquid) step in the right direction. Meanwhile, the company helps customers go green indirectly as well, planting two trees for each picture of their product posted – not bad marketing, either.